Accuracy and precision are essential when performing applications such as kitchen fitting and tiling. Our Makita SK10 lasers provide them in abundance, therefore leading to a much more efficient experience. We look at what both the green and red cross line lasers have to offer. All four SK10 models boast the above features. They also have a pendulum lock for safe transport or so the lines can be fixed at preferred angles if required. The added benefits of the green lasers are their increased visibility in bright areas and a more powerful beam. Both of the self-levelling Makita 12v Max Cross Line CXT models offer clear line visibility of up to 25m (red) and 35m (green) respectively, and 80 metres with the detector laser in pulse mode, a function that helps to reduce battery consumption. Indeed, the SK106GDZ green laser and the SK106DZ red laser offer all the functions and benefits of the SK105GDZ and SK105DZ, but are dot lasers. They project plum dots as well as a full line, giving exact measuring references between different points with a point accuracy of +/-2mm/m. In addition to those, the increased return of the cross lines in both vertical and horizontal directions, as well as in tilt, in both locked and unlocked functions, means that the projection of the lines is not only visible to the front surface but are projected back across the ceiling, floor and side walls, and even the stairs, of a room, making them ideal for stud work or pipe work applications. 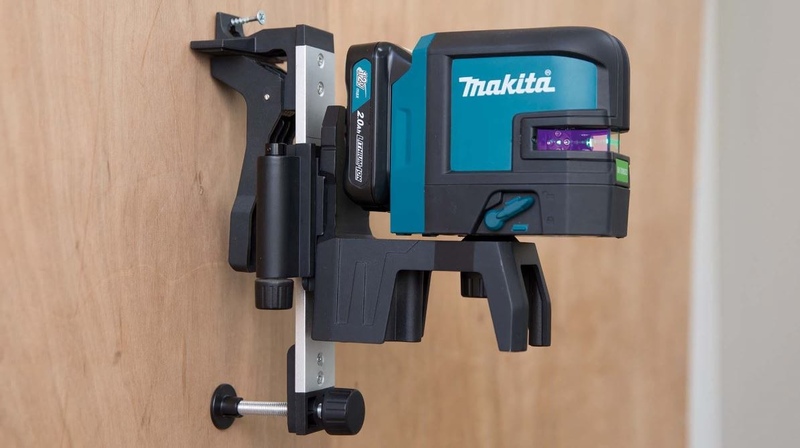 To summarize, Makita SK10 lasers are highly accurate for measuring and levelling assignments. Whether it’s the green or red laser, the 4 point one or standard version we have you covered. Check them out by visiting one of our showrooms for a live demonstration of the lasers. Alternatively, order before 17.30 for next working day delivery.